SQL Developer 3.1 , SQL Developer Datamodeler 3.1, and the OTN DB VM were all released yesterday. Now it's time to blog about some of the new features included in these releases. Be sure to check out the various blogs the team has. There's a listing on OTN here. 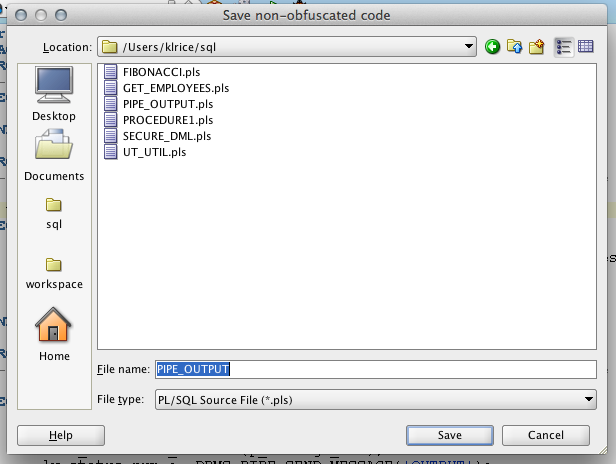 First up from me is PL/SQL Obfuscation. The idea is to simply make the code unreadable. This is done in various language mostly for protection of the intelectual property. The website, http://perl.plover.com/obfuscated/ shows this examplefrom a contest that used to run for Perl. 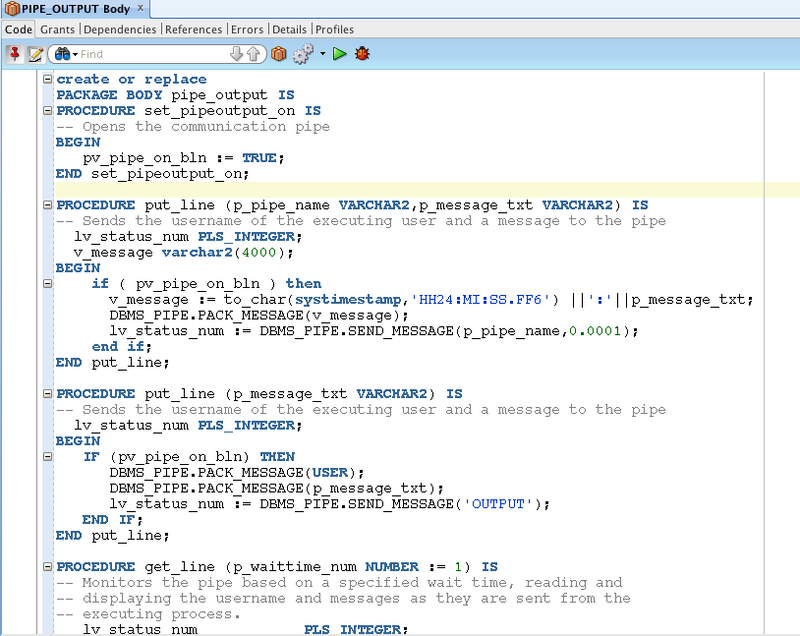 The PL/SQL one SQL Developer now has isn't to this extreme but does make the code quite difficult to read. If someone obfuscated and then wrapped the code, that would be 2 hurdles in the way to assist licensing and other agreements to protect the IP invested. Here's the steps to try it out. 1) Open a PL/SQL Object. This is a package I have that mirror DBMS_OUTPUT but send to a pipe instead. It allows me to basically do a tail -f on my code's log messages and watch it as it processes. If anyone is interested in that I can write it up another time. 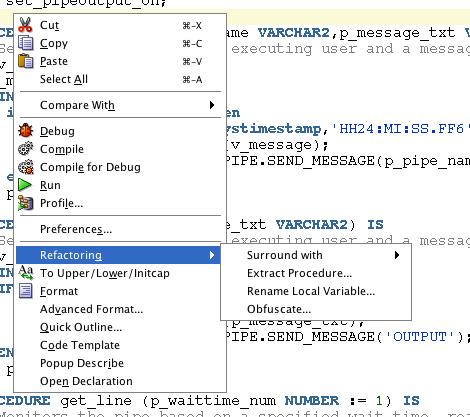 3) SQL Developer will prompt to save the non-obfuscated code so there is a readable copy. 4) Check out the sources. It can be undone by a determined person quite easy with a lot of search and replace but at least it puts a hurdle in the way.